Opus Fund Services today announced that it has won the “Best North American Fund Administrator” award for the 4th consecutive year at the 2018 Hedgeweek USA Awards which took place on September 20th at the Intercontinental Hotel in Midtown Manhattan. John Ruszkowski and Nick Breault from the Opus Sales staff were on hand to accept the award. The annual Hedgeweek Global Awards and Hedgeweek USA Awards recognize excellence among hedge fund managers and service providers around the world. 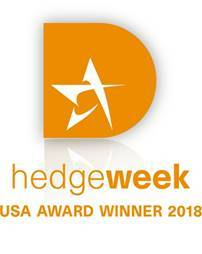 Opus Fund Services has consistently been one of the top rated fund administrators by a number of different industry publications and is honored to have received a Hedgeweek USA Award again in 2018.